Hey, you like to travel? Awesome, same. But tell me: Does the thought of planning your trip actually tickle your loins? Maybe for some people it does, but I'd wager that when we fantasize about, say, a trip to Fiji, we picture ourselves already laying on the beach, toes dug into the soft white sand, and basking under the never-ending glow of the Pacific sun; not hunched over our computers, analyzing the best airfare deal, scrolling through hotels and accommodation options, combing through travel guides, and pulling out our hair over all the FOMO. For me, it's a process I look forward to inasmuch as I look forward to getting a cavity filled. But like eating leafy greens and drinking plenty of water, proper planning makes for smooth sailing later. Thankfully, anyone can now turn to myriad apps to bear the brunt of the hassle that comes with planning. Here are the best apps for the disorganized traveler who hates planning trips. Normally, I roll my eyes at all of those "best time to buy airfare" apps, but a friend who hates planning almost as much I do introduced this app to me. As it turns out, Hopper is awesome at telling you when to pull the trigger on airfare, so you don't regret missing out on that deal from a couple days prior because you were too busy second-guessing yourself and being distracted by the lint in your navel. You pick your destination first. Then you'll see a calendar that shows you the best days for the airfare, color-coded by least to most expensive, over a six-month period. Hopper predicts how much fares will increase and when, based on historical data and algorithms. It then renders a well-informed "Buy now!" command that you should probably listen to. Here are Hopper's predictions for cheap flights this month. If you want Hopper to keep an eye on specific flights for you, it can do that too, and send you a notification when it's time to book. My friend was able to get $100 round-trip tickets from Los Angeles to Houston within a couple of days of "looking." Not too shabby. Here, too, there are a number of competitor apps that all do a similar thing, so if you’re loyal to Skyscanner or Hipmunk, that’s understandable. But Momondo’s edge is finding you the cheapest flights and the most options, un-clunkily (which, having just covered hostel-booking, we know is a rarity among travel apps). I do feel confident saying your time is better spent on Momondo than on Kayak. Kayak isn’t bad, just overrated; for the aggregator with by far the most name-recognition, it’s only ever the same or worse as its competitors. Momondo works well for both last-minute flights and ones you look at months in advance, and it’s great if your flight dates are flexible, since it’ll show you if there are cheaper fares around the dates you search. It also accesses Southwest Airlines flights, which other aggregators usually don’t. One of the more stressful points of travel for me is wondering whether I've packed enough. As a general rule of thumb, you only want to take what you'll absolutely need and use, but if you're schlepping a bunch of stuff to faraway, unfamiliar lands, it's hard to know what you'll need for sure. 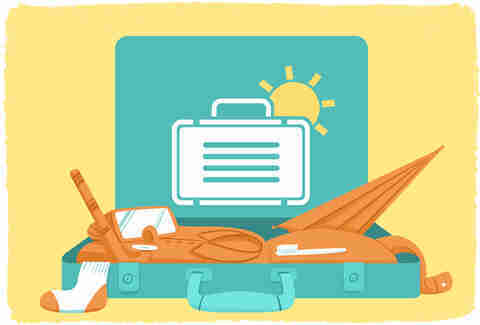 First, consult our packing pro-tips from military personnel, then download PackPoint. It creates your packing list for you based on your itinerary, weather, possible activities, and other considerations for your trip. For example, if you're traveling for business and want to work out, you can opt for business-casual clothes or business-formal attire, along with workout stuff, and it'll generate a list of clothing, gadgets, toiletries, and any other original items you want to include. Once you've made a packing list for a specific trip, you can save the list for future trips or share it with other people. It's more important than ever to keep on top of events and circumstances that might compromise your safety abroad. GeoSure collects data from sources like the CDC, the World Health Organization, the United Nations, local authorities, and more, then provides a safety score for your destination that reflects potential health risks, political unrest, threats to women, and environmental hazards. It even gives crowd-sourced information about thefts and street crime that have occurred in any given area, and tells you when it's safe to walk or if it's better to take a cab. This is like the unclaimed love child of Yelp and Google Maps, an urban exploration planner that lets you download city guides chock-full of places to eat, drink, and see, and how to get there. You'll have no trouble getting in-the-know within major cities, as the app already has destinations such as Los Angeles, London, Boston, and more (with more cities being added continuously) on lock. Sidekix is an amazing companion for anyone who likes to meander places on foot. The app maps out the best walking directions based on what you're into and want to see or do, and as you walk, points of interest, such as museums, bars, or coffee shops, pop up on your map. If something catches your eye, tap on it and learn more about the business and other people's experiences in a Yelp-esque way. In the majority of food-related situations, Zomato doesn’t outshine Yelp. It is, however, better in developing countries or rural areas, or countries like New Zealand and Australia where Yelp is not king. Basically places where loads of people don’t already use Yelp. If you’ve just arrived somewhere unfamiliar and are trying to Yelp the good food but nothing’s really turning up, try downloading Zomato. 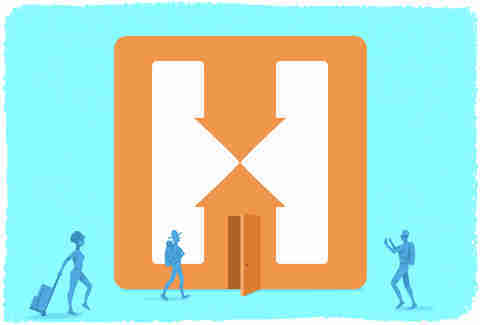 Hotels are rarely at capacity. Usually every third room or so is empty, so at the last minute, hotels might as well offer some wild discounts. This is where HotelTonight comes in. 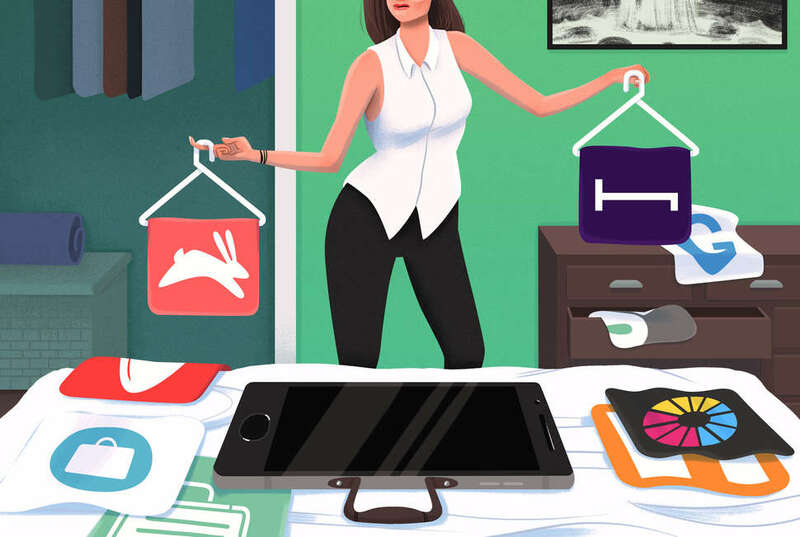 The app curates unsold rooms across a range of price points (organized into categories like “Basic,” “Hip,” and “Luxe”) and sells them at a better rate than you’d get if you’d made a reservation months ago; it even has its own rewards program. And yes, despite the name, you can book your room earlier than one night in advance. This one is more subjective, because there are loads of hostel aggregators and none of them are really the clear standout (@ me if I’m wrong). Often it just comes down to what’s most popular in your area. This one, though, is widely used throughout the world -- it’s owned by the same company as Hostelbookers.com and Hostels.com. Some benefits: As of 2018, it’s exploring free cancellations, and it no longer requires a deposit to book. Hostelworld includes hotels and B&Bs as well as hostels; other apps like Agoda do this too, but don’t tend to have as many listings. Splitwise did for group trips what the microwave oven did for working moms in the late ’60s. It tallies who owes whom how much and for what, then divides your expenses -- just put in the amounts. Integrate Venmo or Paypal, and it allows you to pay (and get paid by) your friends whenever you want, with just a couple of clicks.